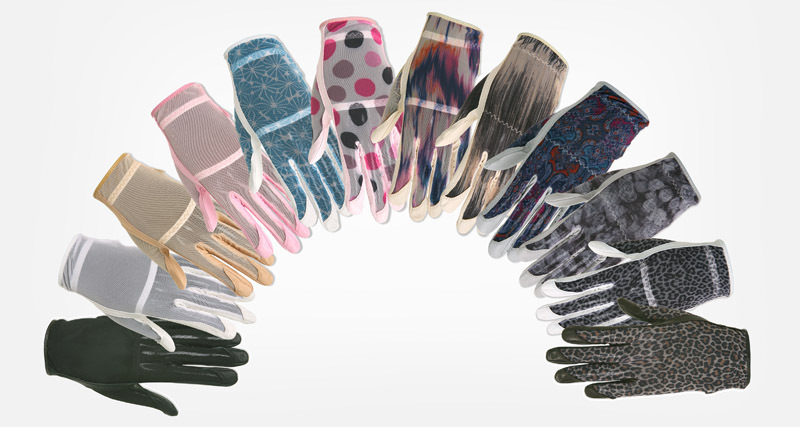 HJ Glove is pleased to introduce our NEW summer glove, the Solaire. Stay cool and dry with the Ladies Solaire made from cabretta leather and quick-drying mesh. This glove will be sure to keep you venetilated and provides an excellent grip. When Howard Jeon founded HJ Glove in 1976, his vision was quite simple: to make the best golf glove in the world. His emphasis on quality and durability are two factors that still remain a top priority at HJ Glove today. HJ Glove has been specializing in golf gloves for over 30 years and continues to strive toward the vision of our founder, the finest golf glove in the world.